What’s New in the Third Edition of the Trade Finance Guide? A “60-minute” self-learning tool for new-to-export SMEs that wish to learn how to get paid from export sales. A user-friendly tool for international credit, banking, trade finance professionals and export counselors for client assistance. The Guide uses a no-nonsense approach to make it easy to understand the importance of choosing the appropriate payment method and trade finance technique when dealing with international transactions. With a quick rundown of the pros and cons provided in each chapter, new-to-export SMEs will find the Guide’s recommendations for when one payment method and trade finance technique is best suited over another particularly helpful. With some 300,000 copies distributed to the public since the release of its first edition in 2007, the Trade Finance Guide has become one of the most popular export assistance resources published by the Commerce Department. Government-Backed Agricultural Export Financing which describes how U.S. exporters of agricultural products can turn sales opportunities, especially in risky emerging markets, into real transactions and get paid. Easily accessible online to anyone with internet access and designed for both easy download and on-screen viewing. Printer friendly because it was designed with printing in mind. Eco-responsible because it was designed for digital distribution and to only use the smallest amount of paper and ink or toner possible when printed. 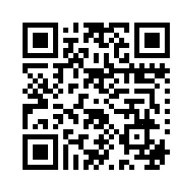 In addition, the new Trade Finance Guide is the first official ITA publication to have adopted a QR Code to make it easy for those with smart-phones to access the Guide’s homepage in cyberspace. 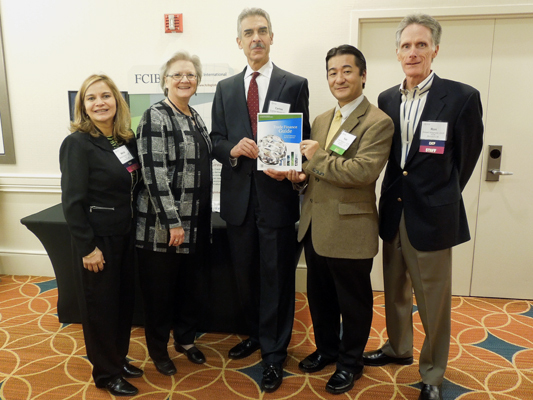 The Trade Finance Guide was created in partnership with FCIB and in cooperation with the U.S. Export–Import Bank, the U.S. Small Business Association, the U.S. Department of Agriculture, the International Factoring Association, the Association of Trade & Forfaiting in the Americas, and BAFT-IFSA (Bankers Association for Finance & Trade–International Financial Services Association). FCIB, a two-time recipient of the President’s “E” Award, is a globally recognized business educator of credit and risk management professionals in exporting companies ranging in size from multinational to SMEs. The Guide is available through the U.S. government’s export portal, Export.gov/TradeFinanceGuide, both as a complete guide and as individual chapters for those only wishing to learn a specific trade finance technique. You may also scan the QR Code below to go straight to the Guide’s homepage. The Commerce Department is currently working with the California Centers for International Trade Development to create a Spanish version of the Trade Finance Guide. The Spanish version will help SMEs expand their global presence, especially in Mexico and Latin America, where Spanish is the primary language. Please stay tuned as the Trade Finance Guide’s inaugural Spanish version is scheduled for release in a few months!